I am just absolutely giddy with excitement today! 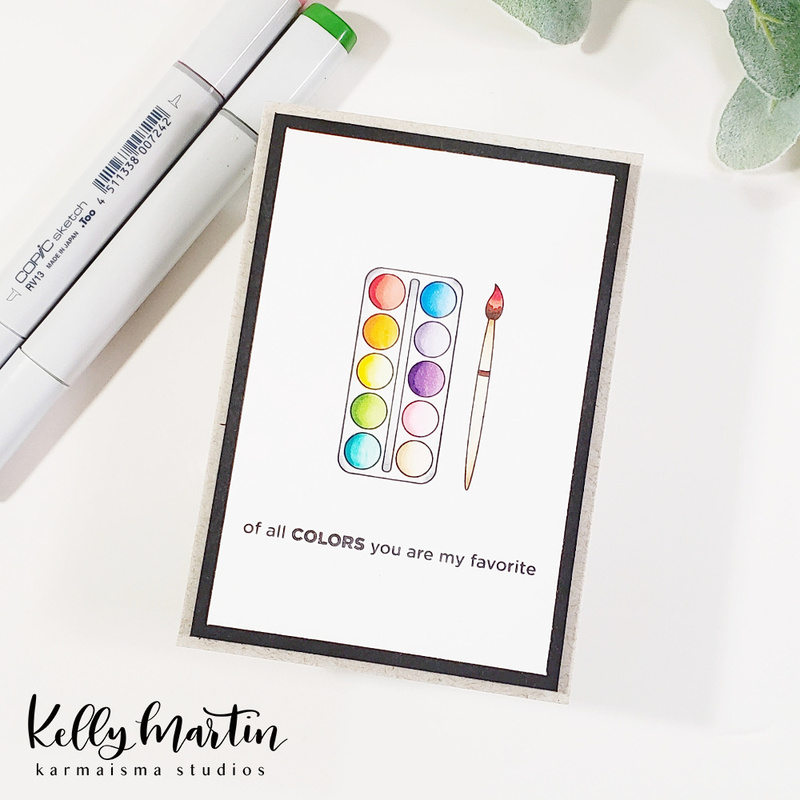 I'm so thrilled to be joining some fantastic folks from The Stamp Market Design Team in showcasing the fabulous new release available for purchase now! You can find the entire new release here! I'm sharing a few cards today, using various products from the release so let's get right to it! 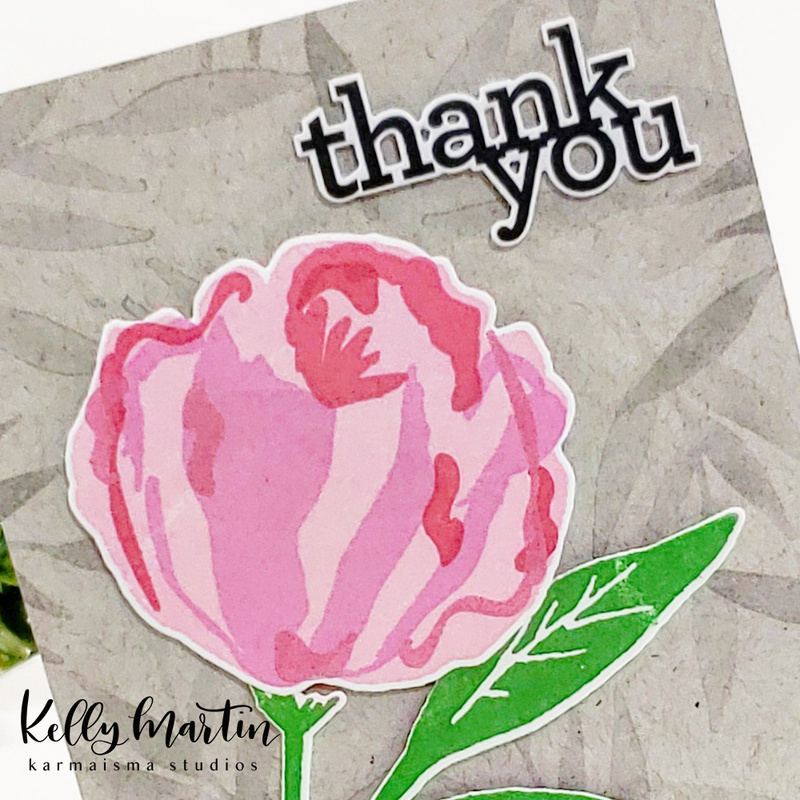 For my first card, I used the Blooming Peony Stamp and Cut Bundle. What I love about this stamp set is that it's so forgiving! It seems like there's no wrong way to line it up and use it! I stamped the base floral images on to white cardstock in my lightest pink shade. I then lined up the next layer, stamped it with a slightly darker pink ink, and then repeated this process for the last two layers. After stamping the leaf images, I then used the die to cut out both the flower and the leaves and set them aside. I then cut down a 4.25 x 5.5 inch piece of gray kraft cardstock, used one of the leaf images to repeat stamp a background using a matching gray ink color. After gluing the panel on to a cut and scored card base, I used my corner rounder to round only two of the corners of the card to add visual interest. I finished off the card by mounting my leaf and floral images with foam tape and adhering them on to the card before stamping a sentiment in black ink, die cutting it, and adhering it on to the finished card with foam tape as well! For my last card, I used some stamps in the ADORABLE Color Me Happy set. I did a little bit of a different size card (a 4-Bar notecard), stamped and colored the paint palette and paintbrush images, and stamped a sentiment to finish things off! I trimmed down the panel, glued it on to a black matte, and then adhered it down to a cut and scored 4 bar size notecard. Thank you so much for stopping by today! Be sure to hop over to the other blogs today for LOTS more inspiration! Pretty cards! 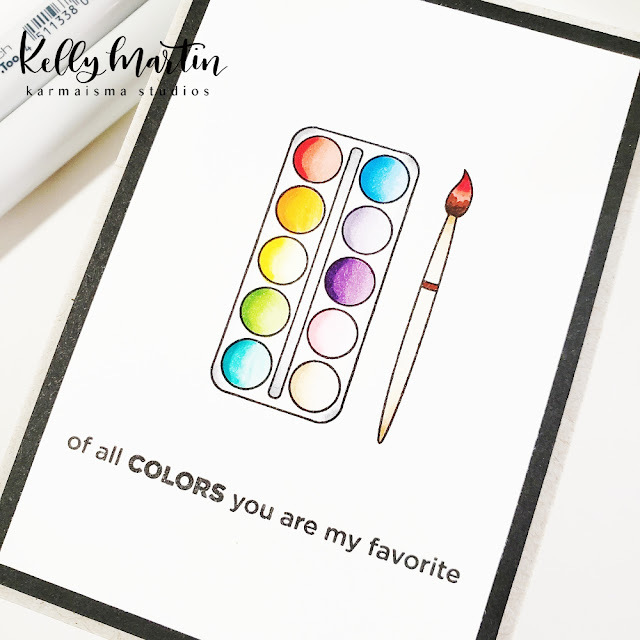 Love the Color Me Happy designs! Absolutely wonderful showcases! Off to check out the store; I think some shopping is on my 'to do' list today!